Belfast passenger and car ferry ticket prices, timetables, ticket reservations and information for ferries sailing from Belfast to Liverpool, Cairnryan and the Isle of Man. Compare all available Belfast ferry ticket prices in real time and book the cheapest available Belfast car and passenger ferry tickets sailing to and from Belfast, Liverpool, Cairnryan and the Isle of Man with Stenaline Ferries or Steam Packet Ferry Company ferries online with instant confirmation. Book Belfast Ferry Tickets with Stenaline Ferries or Steam Packet Ferry Company for ferries sailing from Belfast to Liverpool, Cairnryan and the Isle of Man online in advance to enjoy the cheapest available ferry ticket price. The price you see is the price you pay. There are no hidden extras or surprises such as added fuel surcharges or booking fees and we do not charge you anything extra for paying with a Visa Electron card. The price we quote you for your selected Belfast passenger or car ferry ticket, onboard accommodation and vehicle type is all you will pay, and that's a promise. To obtain a Belfast ferry ticket price and book your ferry ticket securely online please use the real time ferry booking form on the left. You are also able to add a hotel at your destination, or anywhere else, to your ferry ticket when completing your ferry ticket reservation. Belfast city, lying between the mountains and the shores of Belfast Lough, the capital of Northern Ireland combines fine Victorian architecture, a fascinating industrial heritage, beautiful scenic surroundings. At the center of Belfast is the triumphant Victorian pile of the City Hall, both the focal point of the city and its best orientation point. Around the City Hall is Donegall Square, the very heart of the city, and one of the few green spaces in the centre of Belfast. Belfast can be easily accessed by sea crossing from Scotland and England. Ferry carriers include Stena Line, Isle of Man Steam Packet and P&O Irish Sea ferries.Frequent sailings across the Irish Sea connect Belfast to mainland Great Britain. Belfast was voted the fourth best city in the UK for a city break in the Guardian/Observer travel awards. In front of the City Hall lies the main shopping district. This part of the city centre is very compact and can easily be ranged on foot. Donegall Place and Royal Avenue run down from the City Hall, and the shopping area stretches out to Victoria Street in the east, King Street in the west and up to North Street in the north. The glass-roofed Castlecourt shopping centre on Royal Avenue, complete with fountains and cafes, is the largest covered shopping area in the city, and there are a number of other smaller arcades in the surrounding side streets. Best of these is Queen's Arcade, with its vast range of specialist shops. The little alleyways that run between Ann Street and High Street are known as the Entries. Tucked away here you'll find many an old saloon, such as White's Tavern, which claims to be the oldest pub in Belfast. The Entries adjoin the Cathedral Quarter around St Anne's Cathedral. This district of the city has seen considerable refurbishment in recent years and is now home to many new apartments, cafes and bars. The Cathedral Quarter was designed as Belfast's equivalent to Temple Bar in Dublin, and the development of this arts and entertainment centre in Belfast is one of the most exciting phenomena the city has seen in recent years. To the south of the City Hall is Great Victoria Street, which runs up to the university area and is often referred to as the Golden Mile. This district is home to the city's largest concentration of restaurants, bars and cafes. Along the Golden Mile you'll find the Grand Opera House and the splendid Crown Liquor Saloon, which is owned by the National Trust. Both sumptuously Victorian, they offer significantly different forms of entertainment! Many restaurants and cafes line Great Victoria Street, together with the Europa Hotel, which had for many years the unenvied reputation of being the most bombed hotel in Europe. However it is now shaking off that dubious distinction and has currently expanded into Northern Ireland's largest hotel, a symbol of renewed confidence in the city itself. The Golden Mile leads to the neighbourhood of Queen's University, characterised by its plethora of pubs, clubs and places to stay. This is one of the most attractive districts in the city: take an hour to stroll around the well-tended grounds and pleasant red-brick quadrangle of the university. Next door are the Botanic Gardens, which provide a tranquil, peaceful spot for a picnic; the Palm House in the gardens is a relative of the great glasshouses at Kew and the Botanic Gardens in Dublin. The Botanic Gardens are also home to the impressive Ulster Museum (complete with dinosaur exhibits), which is certainly a fine place to while away an afternoon. The Stranmillis Village area is about ten minutes walk away: full of small shops, restaurants and cafes, it is a most pleasant spot for lunch and an excellent refuge from the city within the city. To the east of the City Hall is the mouth of the Lagan river. This area has seen lavish investment in recent years, and along the waterfront there are many places to enjoy the river. The Waterfront Hall is Belfast's new pride and joy. Even if you don't have time to take in a concert, stop for coffee and have a look at the splendid auditorium. Further along, the Lagan Lookout affords excellent views of the two great cranes—David and Goliath—of the Harland & Wolff shipyards. This is where you can get a feel for the industries upon which modern Belfast was founded. And let's not forget the most recent and biggest addition to the Belfast waterfront skyline, the Odyssey arena, which was opened in 2000 and comprises one of the world's largest entertainment complexes. West Belfast is where the sectarian divisions of the city are most starkly displayed. The Protestant neighbourhoods are clearly demarcated from the Catholic areas; the main route through the Protestant area is the Shankill Road and the Catholic equivalent is the Falls Road. With moves towards peace, West Belfast is by no means a no-go area, but tact and awareness should be at the forefront of any exploration. Visitors should also remember, however, that there are probably rougher areas in their own cities and that West Belfast, despite sectarianism, is just another inner-city area attempting to rejuvenate itself. Petty crime has been all but unknown in Belfast and throughout Northern Ireland through the long years of the "Troubles"—a statistic that says more about the culture of the Province than any newspaper headline. The Cave Hill dominates the northern backdrop of the city, looking down on it as P.J. O'Rourke described it, "like some kind of Caledonian Sugar Loaf Mountain". Look out for the feature known as Napoleon's Nose, resembling as it does a man lying down with his nose pointing upwards. It is believed that Jonathan Swift was inspired by this sight in his description of Gulliver lying on his back when he first arrives in Lilliput. Belfast Castle nestles on the slopes of the hill, but climb to the top for excellent views over Belfast, the surrounding countryside, the Irish Sea and (on a clear day) Scotland. North of the city, the impressive Norman citadel of Carrickfergus Castle guards the mouth of Befast Lough. The Antrim coast road runs through some of Ireland's most spectacular scenery. The road leads to the pretty resort town of Ballycastle. Regular ferries ply the route between Ballycastle and Rathlin Island, the only inhabited island off the Northern Irish coast. West of Ballycastle, the rope bridge at Carrick-a-Rede attracts many lovers of vertigo! The southern coast of Belfast is gentler, more serene, and contains a wealth of attractions. The seaside resort of Bangor makes for a pleasant day trip when the sun's shinning, and just south of Bangor lie the beaches and green landscapes of the Ards peninsula, home to many fishing villages and fine seafood restaurants. The peninsula shelters the island-studded waters of Strangford Lough, one of the most important wildlife refuges in Ireland. The great National Trust properties of Castle Ward and Mount Stewart can be reached from the peninsula. Also in the region is Downpatrick, the resting place of Saint Patrick, the patron saint of Ireland. Best Price Guarantee - We always offer you our lowest available Stenaline Ferries or Steam Packet Ferry Company passenger and car ferries ticket price to and from Belfast. There are no hidden extras or surprises such as added fuel surcharges or booking fees and we also we do not charge you anything extra for paying with a Visa Electron card. The price we quote for your selected Belfast ferry ticket, onboard accommodation and vehicle type is all you will pay, and that's a promise! In the unlikely event you find the same all inclusive Belfast ferry ticket cheaper in the brochure of any other tour operator we promise that we will do our best to beat that price or offer you the choice of requesting a refund. To book Belfast car and passenger ferry tickets please click here. 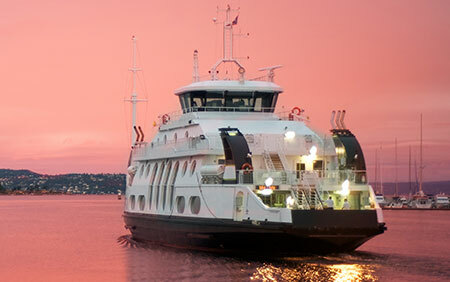 At ferryto.co.uk you are able to obtain live Belfast ferry ticket prices, check availability and book car and passenger ferry tickets to and from Belfast at our lowest available ticket price. Ferryto.co.uk is part of the world's largest online ferry ticket distribution network providing the ability to book over 80 major European ferry operators including to Belfast and to over 1,200 other ferry routes throughout the UK, France, Spain, Ireland, Holland, Eastern Europe, the Mediterranean, the Baltic and North Africa.